A Russian man, Yevgeniy Nikulin, has been indicted in California by a federal grand jury for hacking the popular business social network LinkedIn, file sharing service Dropbox and social questions and answers website Formspring. The 29-year-old hacker, who Bloomberg reports to have used the online aliases “itBlackHat” and “Chinabig01,” was indicted on October 20, 2016. He’s charged with causing damage to computers, aggravated identity theft, conspiracy, trafficking in access devices, and obtaining information from computers without authorization, according to the U.S. Justice Department. While the defendant is presumed innocent until proven guilty beyond a reasonable doubt, it is alleged that Nikulin hacked into the aforementioned websites and then conspired to sell the data he stole, which included sensitive information pertaining to millions of user accounts. In the case of Dropbox, account data pertaining to over 68 million accounts surfaced on the dark web earlier this year. As for LinkedIn, some 117 million accounts were hacked and listed for sale online. While both of the aforementioned breaches are believed to have taken place years ago, back in 2012, it wasn’t until October 5 of this year that Nikulin found himself arrested in the Czech Republic after a warrant was issued by Interpol for his arrest in connection with a criminal complaint. Nikulin is currently in custody in Prague. Whether or not he will be extradited to the United States to face charges remains to be seen. As it stands, Russia has made clear its intent to block his extradition to the U.S., as the country’s foreign ministry indicated on Thursday that it was in the process of working with the authorities in Czech to block his extradition. In 2014, for example, a hacker was arrested in Guam and extradited to the United States for accessing cash register systems at American retailers between 2009 and 2011. A federal jury convicted that hacker, Roman Valerevich Seleznev, of 38 counts of hacking-related charges in August. He is awaiting sentencing. The grand jury indictment, which was unsealed on Friday, accuses Mr. Nikulin of hacking into the computer networks of the three companies, damaging the computers of LinkedIn and Formspring employees, and using their credentials for further intrusions. He is also accused of conspiring with unnamed co-conspirators to traffic in user credentials stolen from Formspring, a social networking site. He faces three counts of computer intrusion, two counts of causing damage to a protected computer, two counts of aggravated identity theft, one count of trafficking, and one count of conspiracy. Mr. Nikulin could face more than 30 years of prison and more than $1 million in fines. The charges were announced on Friday by Brian J. Stretch, a lawyer at the Justice Department, and John F. Bennett, a special agent in charge with the Federal Bureau of Investigation. 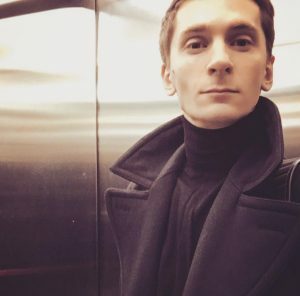 Mr. Nikulin, who goes by the online aliases Chinabig01, Dex.007, Valeriy.krutov3 and itBlackHat, was captured in a raid at a hotel in central Prague on Oct. 5. The arrest came 12 hours after authorities there learned he was in the country with his girlfriend and driving a luxury car, according to local police. He did not resist arrest, but had medical problems and was briefly hospitalized, the police said in a statement. The raid was conducted in collaboration with the F.B.I. after Interpol issued an arrest warrant for him. Mr. Nikulin’s arrest came two days before the Obama administration formally accused the Russian government of stealing and disclosing emails from the Democratic National Committee and other institutions and prominent individuals. Federal officials, including Vice President Joseph R. Biden Jr., have said that the United States would respond to the Russian attacks in kind. After the Czech police arrested Mr. Nikulin, the Russian Embassy in Prague called for his release. A judge in Prague ordered Mr. Nikulin to remain in custody and a court to examine whether to extradite him to the United States. „a Russian man wanted for allegedly hacking U.S. websites, including the social-networking site LinkedIn, is the focus of a tug-of-war between U.S. and Russian officials, both of whom want him deported from the Czech Republic. Yevgeny Nikulin has been held in a Czech jail since his arrest in October, with the assistance of the U.S. Federal Bureau of Investigation.